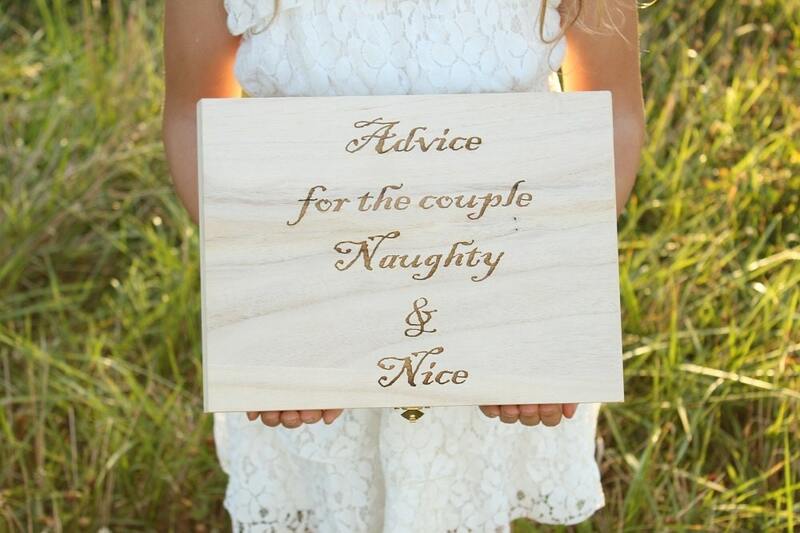 Advice for the couple Naughty & Nice box. 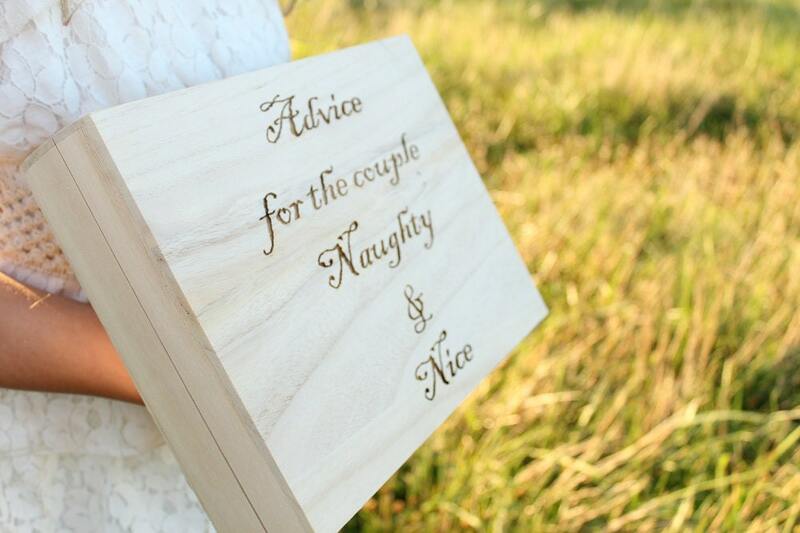 Perfect box that can be used at bridal shower parties, engagement parties and weddings to leave advice for the couple. 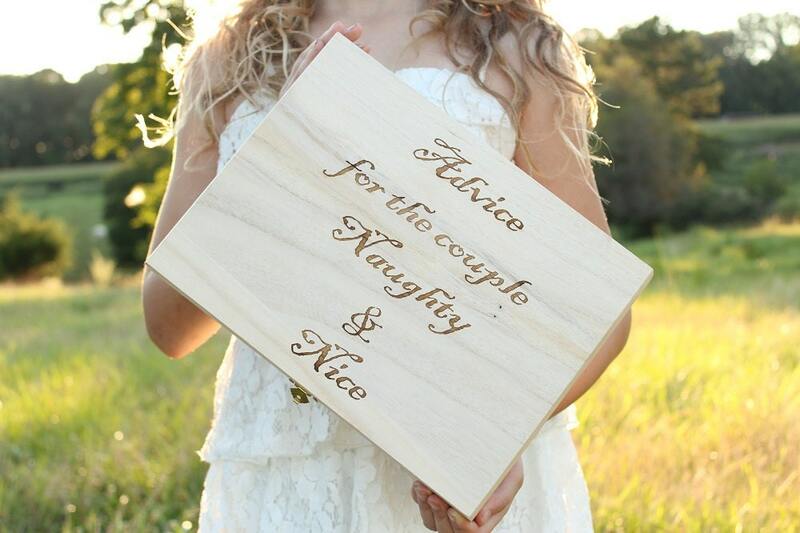 Box Only: You will receive the box only with laser engraved lid. 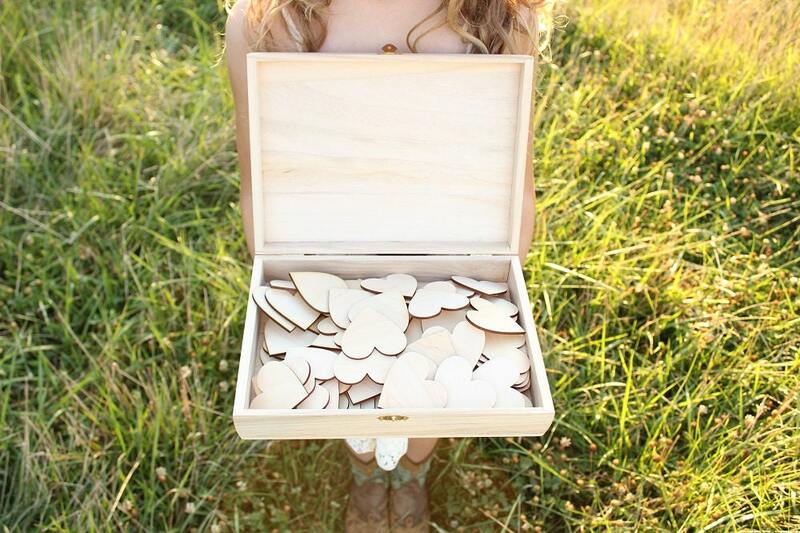 Box w/100 Hearts: You will receive the box with (100) laser cut 2.5" hearts. 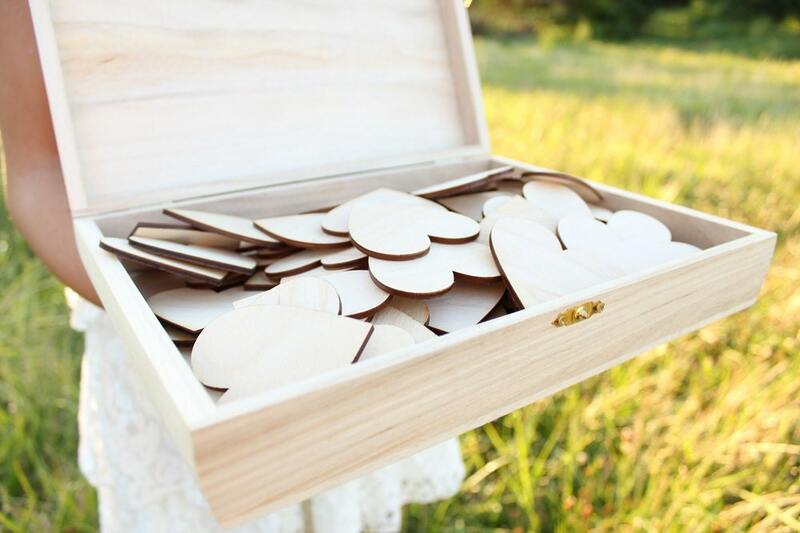 Box w/200 Hearts: You will receive the box with (200) laser cut 2.5" hearts.